Does Blood Atone For sins? To correctly understand Leviticus 17:11 we must examine the context and greater implications of the text in light of what our sages have revealed. Despite common belief, the biblical sacrifices did not of themselves bring forgiveness of sin. Blood is not an essential ingredient of teshuvah, repentance nor of developing a close connection with HaShem. 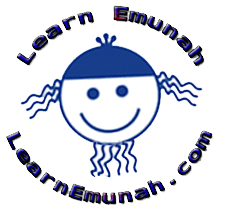 They were objective lessons about the severity of our lack of Torah observance, righteousness, and emunah (active faith). In biblical times it was common for people to appease the gods through animal and human sacrifices. In Egypt for example the lamb was a primary Egyptian god. HaShem had the Israelites slaughter and eat these so-called gods and even use their blood as decorations. Why? As objective evidence that HaShem is Elohim: the G-d over all so-called gods and Judge over all so-called judges. Neither animal nor human blood was ever needed for forgiveness of human frailty. Blood was a symbolism to teach people to trust Him. Since sacrificial systems were the normal way of appeasing the so-called gods the true G-d used that same system to reveal the higher Truth. As their understanding increased HaShem made it clear through His prophets and sages that blood was never the point. The Gemara asks: ...why do I need these three verses stated with regard to blood, from which it is derived that the prohibition against misuse of consecrated objects does not apply to the remainder of blood that flows to the Kidron River? The reference is to the three phrases singled out above from the verse: “I have given it to you upon the altar to make atonement for your souls, for it is the blood that makes atonement by reason of the life” (Leviticus 17:11). “What need have I of all your sacrifices?” Says the LORD. “I am sated with burnt offerings of rams, And suet of fatlings, And blood of bulls; And I have no delight In lambs and he-goats. That you come to appear before Me — Who asked that of you? Trample My courts no more; bringing these oblations is futile, Incense is offensive to Me. New moon and sabbath, proclaiming of solemnities, asssemblies with iniquity, I cannot abide. If, then, you agree and give heed, then you will eat the good things of the earth; but if you refuse and disobey, you will be devoured [by] the sword. For it was the LORD who spoke. See, then, that I, I am He; There is no god beside Me. I deal death and give life; I wounded and I will heal: None can deliver from My hand. HaShem requires NO mediation of any kind. He alone forgives as He chooses. When we come to Him with humility and proper teshuva we acknowledge our shortcomings. We bow before the Judge and request His causeless pardon. This 'softens His heart' so to speak and moves Him to display His mercy towards us. The idea that HaShem's hands are tied unless innocent blood is shed denies everything the Torah reveals about His nature. HaShem forgives whom he chooses and withholds forgiveness as He alone chooses. The good news is that it is his desire to bestow grace and mercy upon all of His children.